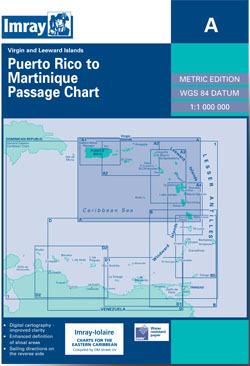 Passage chart of the Lesser Antilles from Puerto Rico to Martinique. Scale: 1 : 930.000. Flat chart, water-resistant paper. A Series Iolaire-Charts from Imray are a set of charts covering the Leeward Islands, Virgin Islands and Puerto Rico in the Caribbean sea.